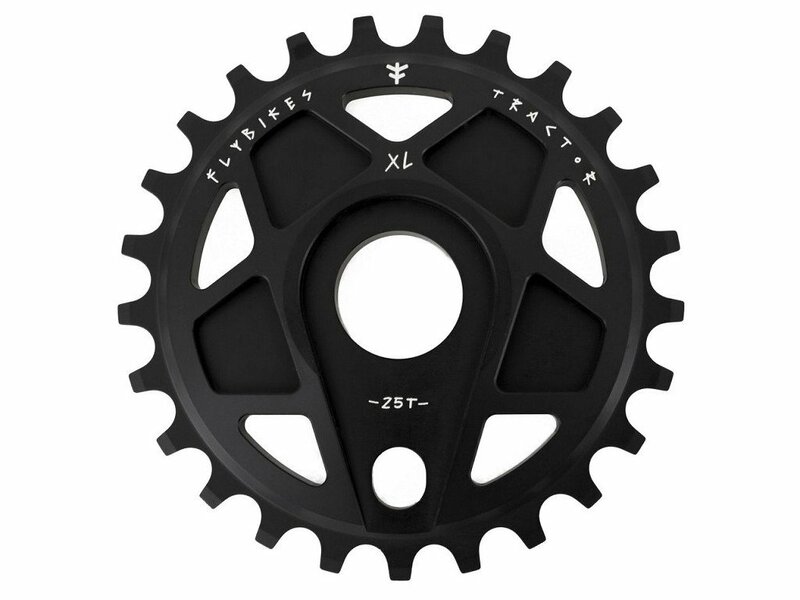 The Flybikes "Tractor XL" Sprocket has a thickness of 16mm and is compare to "normal" sprockets much stronger! 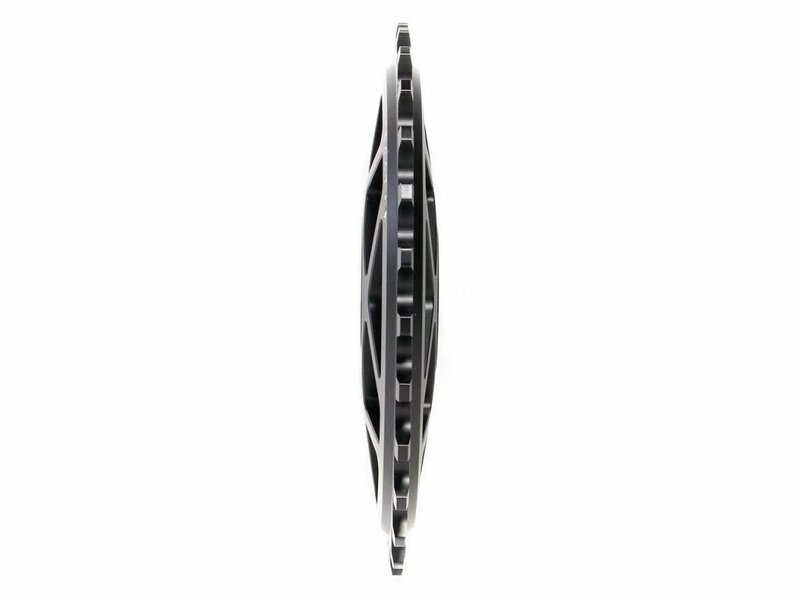 As well you will not need the spacer between bearing and sprocket so it will look much cleaner. 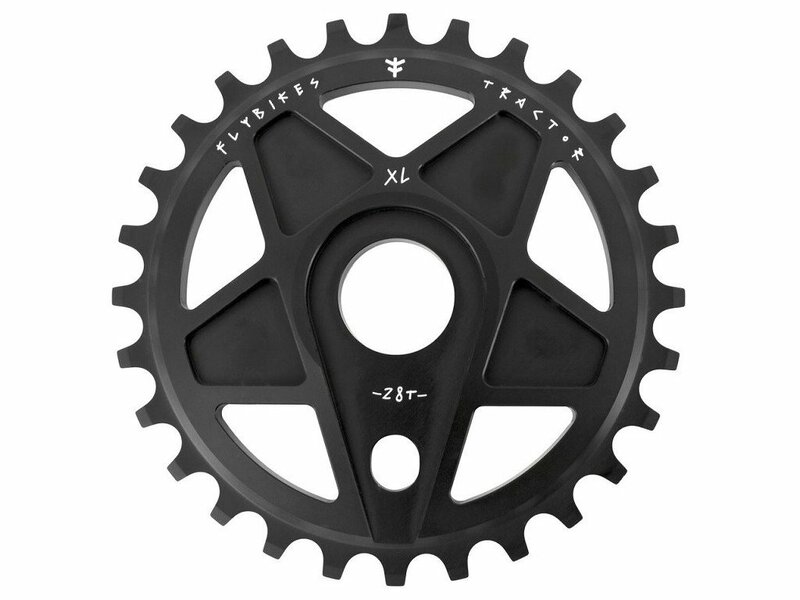 The Flybikes "Tractor XL" Sprocket is made of high quality CNC machined 7075 aluminum and can be utilized by the supplied adapter ring with either 19mm, 22mm or 24mm crank spindles.